This previous post first reported the DOJ’s announcement of a “new” Foreign Corrupt Practices Act “pilot program” and contained a general observation regarding the announcement. This post accepts the “pilot program” for what it is and sets forth in Q&A format, based on the DOJ’s own information, what you need to know about the program. The user-friently Q&A is published as a courtesy to the legal and compliance community. Q: The document released by the DOJ is titled “The Fraud Section’s FCPA Enforcement Plan and Guidance.” Why did the DOJ release this document? Q: Are these “three steps” new? A: Steps 1 and 2 are most certainly not new as information about general and specific information about these “steps” have been in the public domain for some time. As to Step 3, the “pilot program,” there is very little new information to those previously knowledgeable about DOJ FCPA enforcement policies and practices. Q: What is the goal of the “pilot program” and why did the DOJ create the “pilot program”? As noted in the prior post, in the DOJ’s press conference, Assistant Attorney General Leslie Caldwell stated that the DOJ is “confident that there are lots of FCPA violations” that do not come to the DOJ’s attention. Q: Are the factors set forth in the “pilot program” binding? Q: The “pilot program” encourages voluntarily disclose of FCPA issues. Does a company have a specific legal obligation under the FCPA to voluntarily disclose? Q: Has the DOJ previously encouraged companies to voluntarily disclose FCPA issues? A: Yes. The DOJ as a matter of policy, as reflected in among other sources of information DOJ enforcement officials speeches, have long encouraged companies to voluntarily disclose FCPA issues. Q: Why then the need for the “pilot program”? Q: Does the “pilot program” supplant the Principals of Prosecution and/or Sentencing Guidelines? Q: How can companies potentially receive “mitigation credit” under the “pilot program”? Q: What does “voluntary self-disclosure” mean under the “pilot program”? The company discloses all relevant facts known to it, including all relevant facts about the individuals involved in any FCPA violation. Q: What does “full cooperation” mean under the “pilot program”? Q: Some of these factors for “full cooperation” seem onerous, burdensome or potentially in conflict with other legal rules. Does the DOJ have different expectations for different companies? Q: Does the “pilot program” address the scope of internal investigations? Q: What does “timely and appropriate remediation” mean under the “pilot program”? 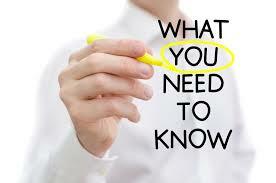 “Remediation can be difficult to ascertain and highly case specific. In spite of these difficulties, encouraging appropriate and timely remediation is important to reducing corporate recidivism and detecting and deterring individual wrongdoing. The Fraud Section’s Compliance Counsel is assisting us in refining our benchmarks for assessing compliance programs and for thoroughly evaluating an organization’s remediation efforts. Q: Under the “pilot program,” what happens when a company full cooperates and timely and appropriate remediates without voluntary self-disclosure? Q: Under the “pilot program,” what happens when a company voluntarily self-discloses as well as fully cooperates and timely and appropriately remediates? A: According to the document: “When a company has voluntarily self-disclosed misconduct in an FCPA matter in accordance with the standards set forth above; has fully cooperated in a manner consistent with the DAG Memo on Individual Accountability [the Yates Memo] and the USAM Principles; has met the additional stringent requirements of the pilot program; and has timely and appropriately remediated, the company qualifies for the full range of potential mitigation credit. generally should not require appointment of a monitor if a company has, at the time of resolution, implemented an effective compliance program. Q: When is the “pilot program” effective? Q: What happens after one year? Q: Does the “pilot program” extend beyond FCPA enforcement?